Price of review item: Base price starts at $1'824 and includes international shipping; 5% off for two; 10% off for three or more. Did you know that skin filtering comes in four grades? We didn’t. That is, until Louis Motek of LessLoss contacted us asking whether we’d be interested to evaluate his latest DFPC Reference. 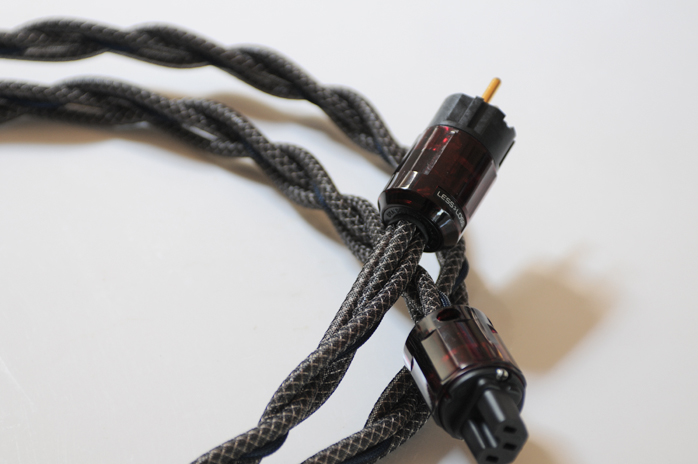 DFPC is short for dynamic filtering power cable. This technology is intended to prevent electromagnetic noise from entering the power cable. A power cable acts as antenna whereby it is prone to pick up all sorts of EM noise. When the power signal as the basis of all eventual music is delivered to the connected equipment whilst being distorted by noise, the resultant music will be distorted too. With the old adage of garbage in garbage out, this makes perfect sense. We are in fact listening to wall power modulated by the music signal. What made no sense whatsoever was a claim in the LessLoss literature. They state that a domestic side effect hidden in all this is that when you feel the urge to turn up the volume, she no longer feels compelled to conduct contrived business in town. Given that we’re married and listen/review together, wasn’t this a perfect place to antagonize reviewers well before actual auditions started by dishing out male chauvinist bigotry? So we took a few deep breaths to calm ourselves back into neutral bias. So… Louis Motek uses the very last section of the wiring system all the way from the power utility plant to our precious piece of audio equipment as a filter for high-frequency noise. 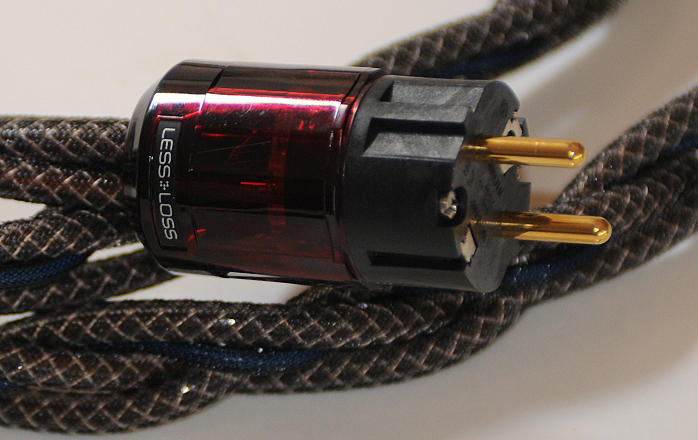 Without the use of more common filtering parts like transformers, coils, capacitors, resistors or complete regenerators, he relies on something else to fight undesirable HF noise which in theory is quite simple. For power delivery and depending on where we live, we are only interested in 110, 220, 230 or 240 volts at 50 or 60Hz. That’s it. No more, no less. The problem is that our friendly power utility company and equally friendly neighbours don’t care that much. The power company complies with our basic needs and delivers roughly the desired voltage at roughly the correct frequency. That the power signal picks up all manner of EM noise along the way does not bother them. They get you the volts you need at a (relatively) stable frequency and you have signed on the dotted line without complaints a long time ago. All the gathered noise just happily rides on the signal as a bonus to the customer.